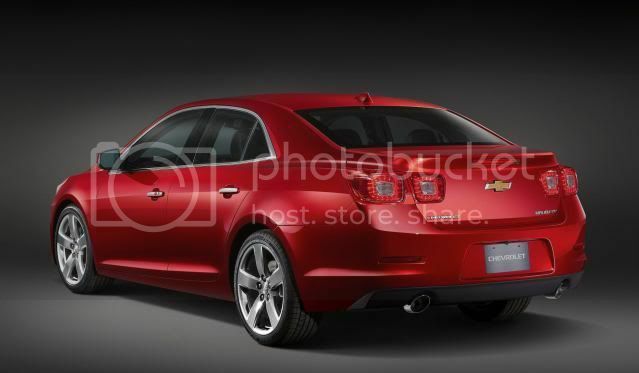 Chevrolet will preview the new Malibu large family car in both New York and Shanghai, before going on sale in 2012. 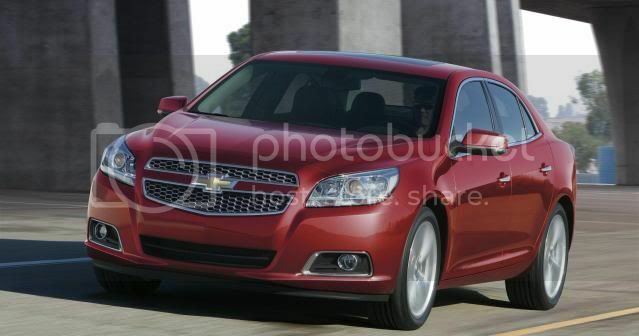 The Malibu is Chevrolet's “first global mid-size car”, measuring at 4,859mm. 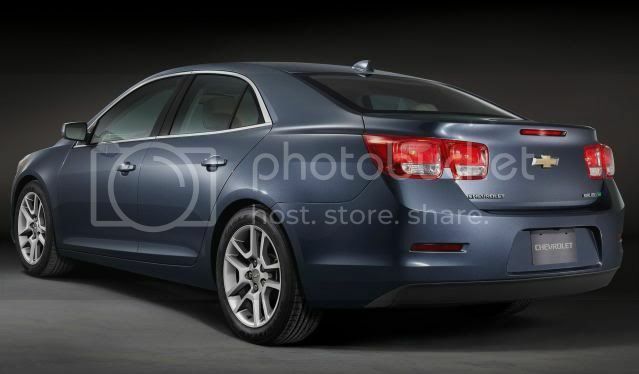 Underpinning the Vauxhall/Opel Insignia, Chevrolet claims the car has “European-influenced ride and handling”. Strangely, the wheelbase is in fact shorter than the outgoing model, however, a wider track allows for more than 110 litres cabin space. 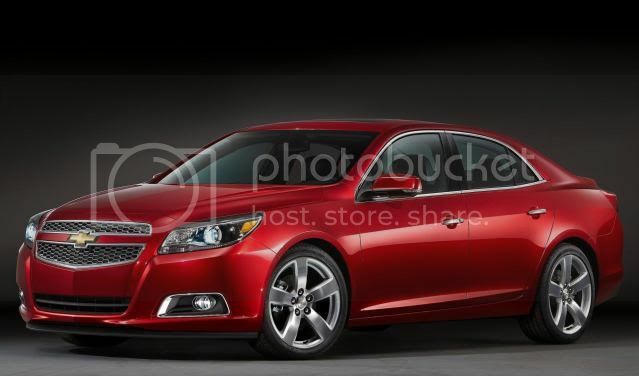 "The current Malibu has left an award-winning impression and changed the way people think about Chevrolet. 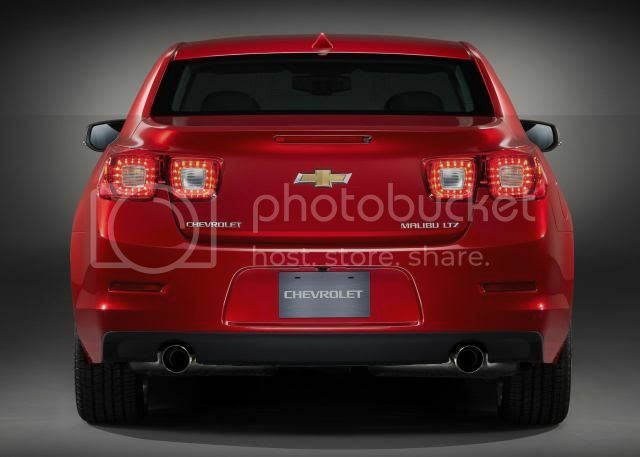 It redefined what an American midsize car could be," said Rick Scheidt, vice president, Chevrolet Marketing. 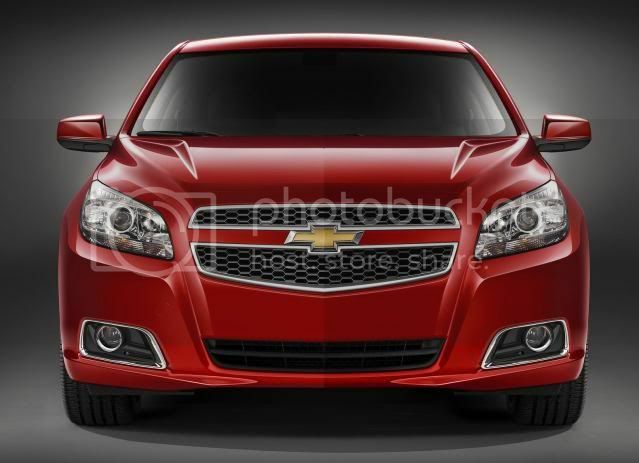 "This all-new Chevrolet Malibu delivers on the intangibles of today's Malibu but gives customers even more: more style, fuel efficiency, content and features, craftsmanship, and dynamic capabilities rivalling high-end sedans." A staggering 10 engine options will be available across the world with the best-selling expected to be the new 2.5 litre Ecotec 4-cylinder petrol engine, that produces 190bhp (188PS/141kW) and 245Nm (180ft-lb) of torque. 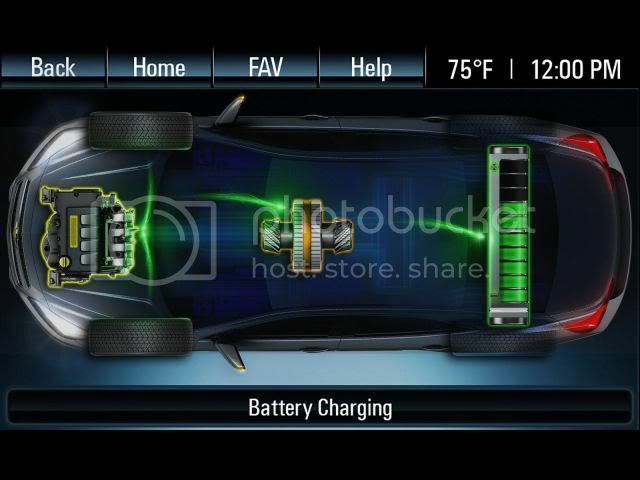 This will be linked to a 6 speed automatic. 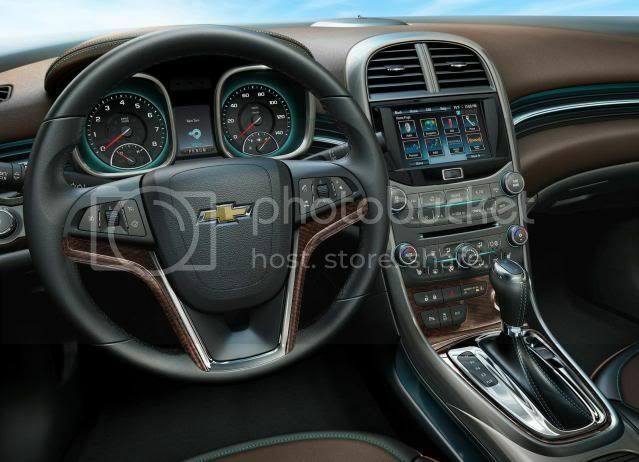 The interior will feature a flippable touchscreen display that conceals a storage compartment, soft-touch materials, and Chevrolet's MyLink infotainment system. Other equipment will include 10 airbags, 17”, 18”, 19” alloy wheels, bi-xenon headlights, reversing camera, ESP, LED tail-lights, and a lane-departure warning system w/adaptive cruise control. 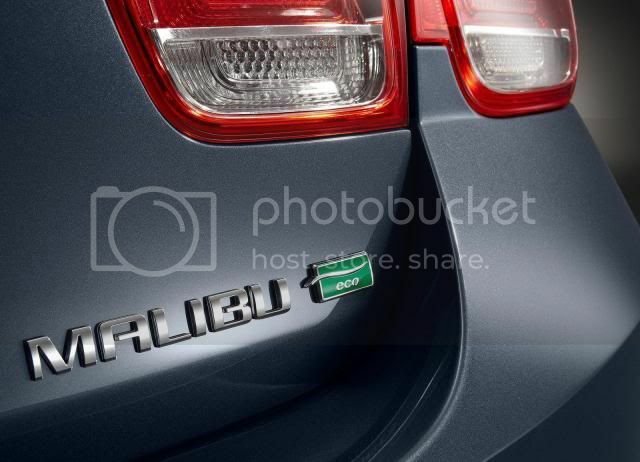 A special economy model called Malibu ECO will be offered Stateside. The system – called eAssist - includes a 2.4 litre Ecotec petrol engine, linked to a 6 speed automatic and a 15kW air-cooled lithium-ion battery. The mild-hybrid has preliminary EPA figures of 26mpg in the city and 38mpg on the motorway. 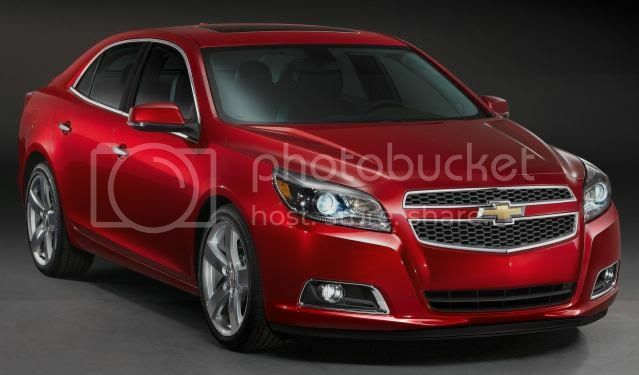 "The Chevrolet Malibu ECO is a smart choice for customers who want excellent fuel economy without the price premium of popular hybrid sedans," said Rick Scheidt, vice president of Chevrolet marketing. 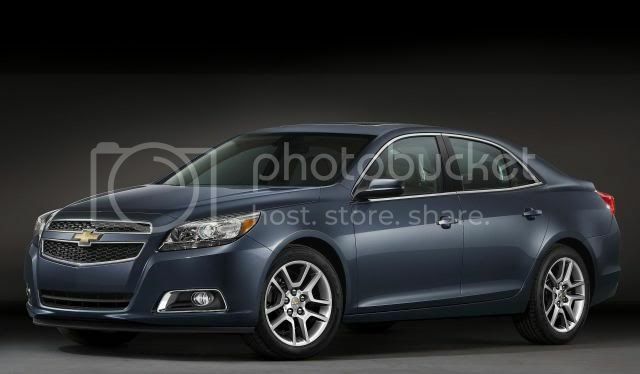 "The Malibu ECO's 38mpg highway estimate is comparable with those hybrids." 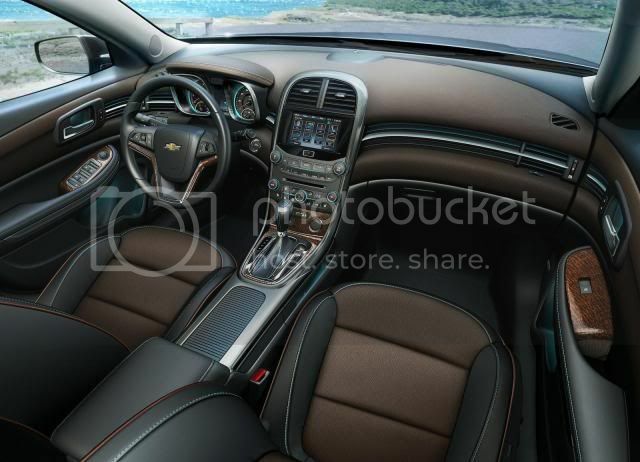 In the U.S, the Malibu will arrive in LS, LT and LTZ trim levels, with 10 exterior colours and four interior colour combinations. It will be built in multiple locations around the globe, including the Fairfax, Kansas. and Detroit-Hamtramck assembly plants in United States. While European sales will commence sometime in 2012, UK sales may be unlikely due to the initial lack of a diesel engine. I think you have spent a lot of time for collecting above information and posted them together here. Thanks for sharing the above information with us.